Richard J. Hopkins of Helena, Montana passed away peacefully into God’s presence on February 1st, 2019. He was surrounded by family and friends after extended illness from polio disease. Richard was born on July 5, 1944 to James and Evangeline Hopkins in Great Falls, Montana. At the age of 7, Rich contracted polio while in Lewistown, Montana in the fall of 1951 resulting in intermittent schooling in the second and third grades. The disease necessitated three surgeries including a back surgery with rods and fusion in 1962. He graduated from Cathedral High School in Duluth, Minnesota in 1962. He earned a major in Biology and minor in Chemistry from Carroll College in 1967. He graduated from the Medical College of Wisconsin in 1971. He enjoyed his rotating internship at St Mary’s Hospital in Duluth, Minnesota where he met a young nurse, Marie Clark, in the fall of 1971. They were then married in June of 1972. Later that year, the couple moved to Seattle, Washington for a brief Pathology residency at the University of Washington. 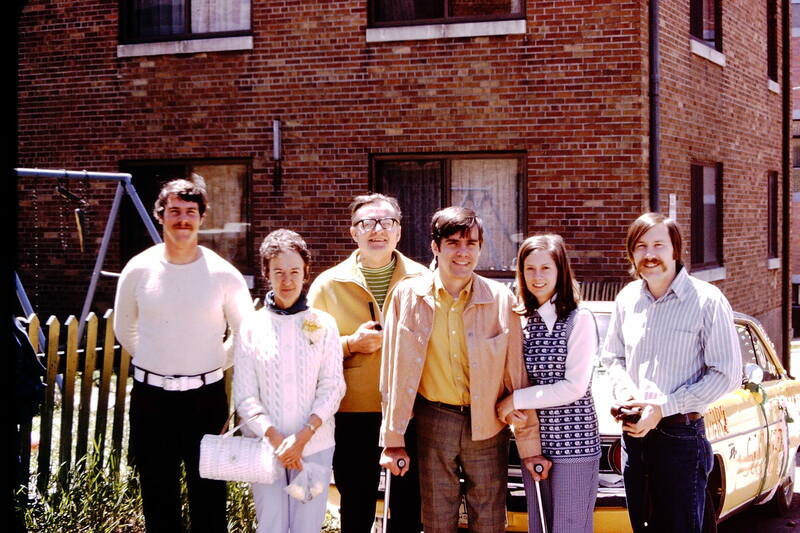 The couple then moved to Cleveland, Ohio for Rich’s Ophthalmology residency at St Luke’s Hospital that concluded in 1975. During this time, Rich also enjoyed taking a Basics Science course at Stanford University in the summer of 1973. 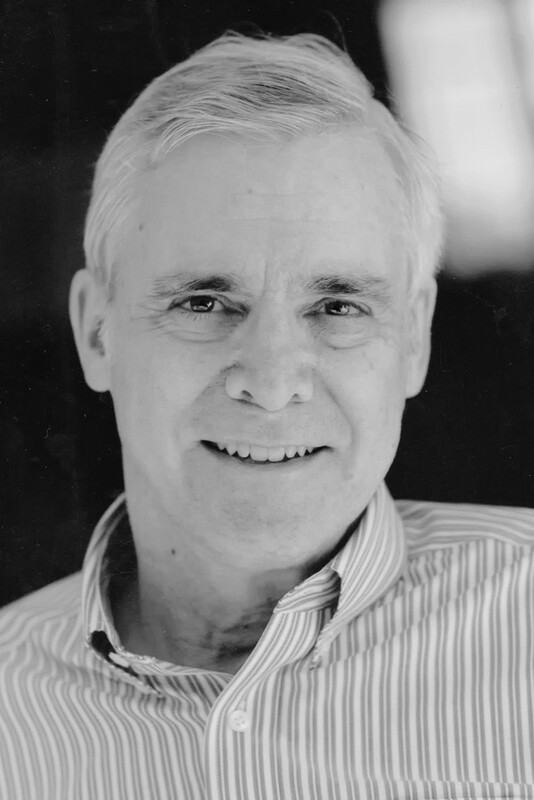 In 1976, Richard began his practice in Helena with a brief three-month Retinal fellowship in Cleveland, Ohio in 1978. He became Board certified in Ophthalmology in 1979 with later entry as a Fellow of the American College of Surgeons (FACS). He retired from practice in 2006 from Helena Eye Clinic. As a teenager, he became interested in electronics which led to amateur radio equipment which he enjoyed both building and transmitting afar. He was also a patron of both visual and live arts in Montana. He had a special affinity for improvisational jazz music which he passed on by coordinating multiple local jazz events. He enjoyed collecting art and taking photographs with his Leica range finder of friendly strangers, family and friends. Rich regarded his wife, Marie, as “the finest person he ever knew” due to her patience, kindness and grace. He also felt fortunate to have such attentive and loving parents whose care inspired him through his childhood disease. He was supported by his daughter, Karen Rowe, and son-in-law, Kenton Rowe, following the death of Marie in 2013. He felt fortunate to live in an extended household with the joys of watching his grandchildren grow. He was a champion in supporting his grandchildren in their pursuits of music. He was quite the fighter, surviving polio as a child which resulted in using crutches for the remainder of his life, battling challenges of bipolar disorder and several near-death bouts of pneumonia in recent years. Survivors include his son, Michael (Ekutsar) Hopkins, granddaughters, Tabetha and Emily Hopkins, daughter, Karen (Kenton) Rowe, grandson, Auston Rowe, granddaughter, Andreanna Rowe. He is survived by his sister, Diane (Paul) Hamper, brother, David (Debi) Hopkins, and brother, Pat (Sharon) Hopkins. Other survivors included many nieces, nephews and loving friends. Richard was preceded in death by his wife, Marie Hopkins, brother, Paul Hopkins, parents, James Hopkins and Evangeline Hopkins, grandparents, Arthur and Florentine Hopkins and Charles and Evangeline Hedges. A Celebration of Rich’s Life will be 11:00 a.m., Tuesday, February 12th at The Myrna Loy, 15 N. Ewing Street, Helena. A reception will follow the service in the Myrna Loy gallery. Please visit below to offer a condolence to the family or to share a memory of Rich. In lieu of flowers, Rich and his family request memorials be made in his memory to Doctors without Borders, Helena Food Share, or The Myrna Loy. The family wishes to thank St Peter’s Health and our loving friends and family. We are truly blessed to live in this community. I first met Rich when he was confined to his bed as a debilitated teenager, wanting some help in setting up his amateur radio station. It became an on-going, pleasurable assist from me and a few of the other local club members to help, help and help. Several years latter we both attended Carroll Colledge, taking a class together; he was a top pre-med student. Much latter in life, we would frequently cross paths at St. Peter’s hospital, where he always had a little time for me. He never forgot that first meeting. He was an appreciative and respectful teenager, a top tier student and a highly respected physician. My condolences to your family; may you rest in eternal peace good Doctor. To me, this is a RICHARD CLASSIC!! I am one of the four medical school roommates. Our second year of med school, we four faced a test the next day. Charlie, Gerry, and I were frenzied about the upcoming test. Richard had recently purchased a Leica camera, which he treasured. While the three of us were pulling our hair out due to test stress, Richard sat at his desk in our apartment applying felt to the inside of the camera case. To Richard- NO SWEAT!! Another moment to remember! At our med school graduation, Richard was the only graduate to receive a standing ovation! Med school was tough enough, but on crutches-REMARKABLE!! Rich was a very unique guy, smart, determined, at times opinionated, and caring. I was one of his three apartment mates during our last two years of medical school and then spent another year in the same internship up in Duluth, MN. What great challenges he faced physically that rest of us students and fellow interns did not. He was truly remarkable. But Duluth was also where he met and married Marie, and they began their life togetherI have many anecdotes about my experiences with him. One of my favorites occurred when I took him with me during the winter to my hometown in Michigan’s upper peninsula. We lived on the edge of our small town, giving us ready access to some snowmobile trails. One clear, cold night, we dressed him warmly and I took him with me on our family snowmobile for a ride through a nearby field planted with Christmas trees. We were moving right along and after a mile or so I turned to see how he was doing. Alas, no Richard! I had to retrace my route and found him laying in the snow on the trail, laughing and wondering how long it would take before I realized he wasn’t there. He couldn’t walk back home, even if he wanted to, because he didn’t have his crutches along. He was a adventuresome as he could be. I am so glad the other guys, my wife Kathi and myself were able to get together with him in Helena a few years ago and have a mini-reunion with him and meet his daughter and her family. Another of the room mates in Med school, we occupied a 3 bedroom apartment. 4 guys, 3 rooms meant 2 in one room…that turned out to be me and Richard. We managed to meld our eccentricities into a reasonably harmonious existence. I do remember a rather heated “debate” on the proper distance to engage the turn signal before a turn. Bruce and Jerry will probably remember the “discussion” and smile at the two stubborn roomies not giving an inch. It’s refreshing to remember that we never disagreed on anything more important than a turn signal. Besides the mini-reunion I was also fortunate to see Rich a few years ago when I went on fishing trip in Craig, MT. My fishing buddy and I drove to Helena one evening for dinner with Rich. It was a delightful experience that I still treasure. He was a remarkable person and I, like all who knew him, will miss him. Rest in peace, my friend. In 1977 when I was a month and a half old Dr Hopkins diagnosed my with congenital Glaucoma. By the time I was 1 1/2 years old he sent me to San Francisco for 8 different eye surgeries to say my sight. He was my Dr until he retired and because of him I have 20/20 vision in my left eye without anything holding me back. He was amazing Dr. I recently had my yearly check up and was told by the eye dr that I must of had an amazing dr when I was young because when looking at my eyes he can tell we caught it early enough and I got the best care I could have received. Rip Dr. Hopkins and to his family I am so sorry for your loss he was an amazing man. He was a remarkable man. I never saw him without a smile on his face. My father lived most of his life on one leg. Dr Hopkins on crutches. Both saw life as half full not half empty. Yes you can! Truly inspirational for all. I have enjoyed reading these heartwarming thoughts from others who knew Rich. Along with Steve Weber, MD, ophthalmologist of Kalispell, Rich and I began our ophthalmology practices at the same time, Rich in Helena and me in Bozeman. Through the years, we had many occasions to compare our parallel professional and family lives, frequently seeking advice from each other. My associations with Richard were always enriching and stimulating. A fine guy. Condolences to all. After Dr. McKerrow died, Dr. Hopkins became my eye doctor. He was always pleasant and one of his outstanding raits is that he listened and heard what a patient had to say. That is not always the case with some doctors. I regretted losing Dr Hopkins as my eye doctor. After he retired, I received a phone call from him. He asked me to recommend a good book on Isalm. I did that, but I never followed-up to see what he thought of the book. What this incident says to me is that Dr. Hopkins had an inquisitive mind on a variety of subjects. We are all better people for knowing this kind and remarkable man. He was one of God’s blessings. May God enfold you in His presence. It was with great sadness and a sense of loss that we read Richard’s obituary in the Sunday paper. My most cherished memories go back to the later 1990’s and early 2000’s when 4 to 5 local ophthalmologists organized an “ophthalmic journal club” hosted most months in rotation at our respective homes. In pleasant weather the rotating venues even included the deck of a power boat docked near the Gates of the Mountains. Rich was an active participant at these sessions, and he usually had strong opinions, not only about the journal articles but also about ophthalmology and medical practice and the state of the health industry in general. These were gatherings that I thoroughly enjoyed and Rich’s presence and contributions were a big part of the experience for me. Another area of common interest we shared was a love of music and particularly jazz music and improvisation. The local music scene and also the theater arts in Helena were a continuing source of conversation for us. Rich was so blessed to have Marie as his wonderful, loving wife, and it was heartbreaking when we learned of her ongoing battle with lung cancer (as a non-smoking nurse). Rich was devastated by her passing, and I still recall the profound grief in his eyes at her funeral service. We know how important it was for Rich to have the continuing support of his family after Marie’s death. Having family and grandchildren in place with him gave him joy and the desire to live despite increasing medical challenges over time. Our greatest regret is not seeing Rich more in the later years of his life, but we will always cherish the special times that we did have together. His was a life well lived, and he will be greatly missed by all those who knew him.